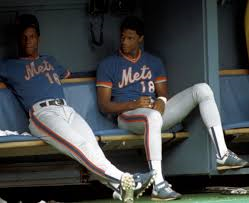 What we learn from ESPN's new film Doc and Darryl is that like the rest of us, Dwight Gooden and Darryl Strawberry don't quite know what to say about what happened. So one of the most valuable takeaways from this latest revisit to an oft-told tale is the seemingly peripheral, but critical fact that while it's easy for outsiders to see them as tragic twins, they were and remain different people who walk different paths. Doc and Darryl, which premieres at 9 p.m. ET Thursday, is the latest in ESPN's excellent 30 for 30 series, taking in-depth looks at poignant sports stories. In this case, the story is Dwight "Doc" Gooden and Darryl Strawberry, a pitcher and an outfielder on the 1980s New York Mets teams that won the 1986 World Series, but never quite lived up to the expectation that they could have won so much more. Doc and Darryl personified both the achievement and the disappointment. They were marvelously gifted athletes. As Jon Stewart says in the film, they played on another level. They were the kind of ballplayers who could anchor a dominant team for a decade as they cruised into the Hall of Fame. Strawberry had a lean frame and a sweet swing that earned him comparisons to Ted Williams, which is as high as hitting compliments get. Gooden had blazing speed, great control and a ferocity that enabled him not just to defeat batters, but to overwhelm them. His 1985 season was one of the greatest for any pitcher, ever. What fans didn't see at the time was the price they both paid for performing at this level under that degree of pressure. They both explain in this documentary, as they have said many times before, that they were drinking and drugging both as one of the perks of big-city stardom and as an escape from it. Their 1980s teammate, Keith Hernandez, joins them in admitting that many of the players on those teams were living at a pace and with an intensity no one could have sustained. The flashpoint and for many fans the turning point came when Gooden didn't show up for the 1986 World Series parade in Lower Manhattan. Gooden -- for the thousandth time -- recalls here that he had gone to his drug dealer's place the night before and then just never left. Just one more drink, just one more hit, and suddenly he was watching the parade on TV. Doc and Darryl both made way too many of the wrong kinds of headlines after that. Arrests, suspensions, rehab. They remained above-average ballplayers on sheer talent, but the drugs and the alcohol eroded their transcendence. They never became the players that their skills said they could have become, which is why their perfectly respectable careers are viewed today as frustrating or even, to some, tragic. 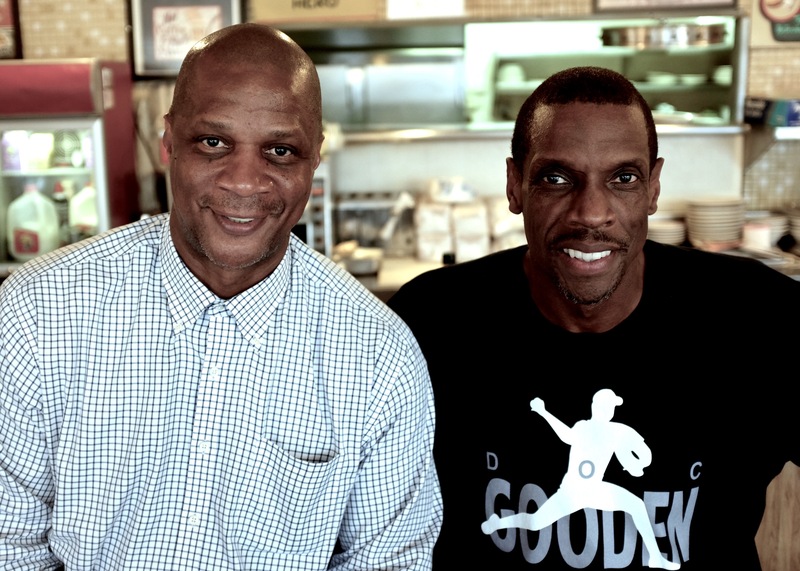 The film Doc and Darryl, co-directed by Michael Bonfiglio and Judd Apatow, starts by bringing Gooden and Strawberry to a diner in Queens in 2015. They order some pie and the idea is they will just start talking. It turns out to be a curiously cautious conversation. They clearly hadn't seen each other in a while, and while they're friends, what we get is warmup tosses. How ya been, they can't take the good memories away, etc. etc. Boilerplate reunion small talk. They get more introspective and revealing in their separate interviews, where they dutifully recount the mistakes and the stumbles. For both men, clearly, the problems began before they become professional baseball players, and then exploded out of control when they did. At this point, they seem to feel, it's simply what happened and whatever the reason, it can't be changed. What matters more is what's happened since, or is happening now. For Strawberry, moving on meant finding the Lord. He works with church and addiction groups. He's married, he says he's happy and there's no indication he's not. Gooden's situation looks more tenuous. He shakes and fidgets when he talks. He says he's clean today and that there's no guarantee he will be clean tomorrow. He says he wants to be remembered as someone who fell down and got up, and while everyone wants that to be true, there's a sense he's still finding his feet. Great athletes give us a lot just in the pleasure of watching them perform. So we develop an attachment and feel invested in their lives even though we really know nothing about them. Doc and Darryl doesn't tell an especially happy story, and that includes not promising a happy ending. It's not the story we might like. It does feel honest.